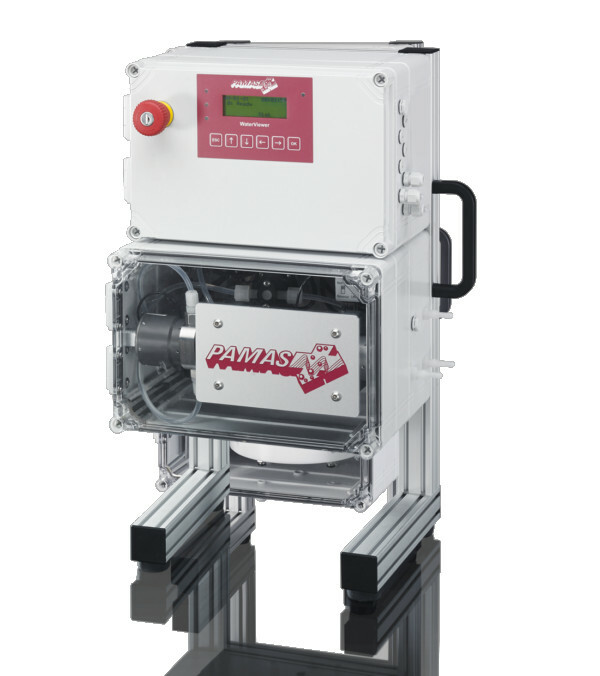 The PAMAS WaterViewer is used as an online particle counter for low viscous liquids. The sample input for the standard system is 0.5 to 4 bar pressure, grab sampling or mixed system available on request. The PAMAS WaterViewer has been designed for a fully automated operation. Analogue and digital I/O of external devices is also possible. Automated sensor cleaning removes minerals and most other deposits. A standard Multiplexer Unit contains 1 to 8 measuring point inputs. By combining 2 or more Multiplexer Units, one PAMAS WaterViewer system can be expanded to multiple measuring point inputs. The system can be used with different sensors of the series PAMAS HCB-LD. The standard sensor PAMAS HCB-LD-50/50 has a flow rate of 25 ml/min and a size range of 1 to 100 µm.